Day five of creation was a busy day. Hashem filled the ocean and rivers with animals, as well as the sky. 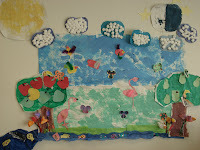 The children have been creating fish for our ocean and butterflies for our skies. We are creating birds, from Flamingos to toucans to populate our mural. A lot of collaboration is going into the creation of the mural. 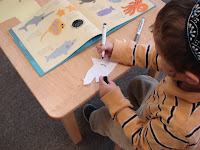 Daniel cut out our great white shark, Levi gave it the color. 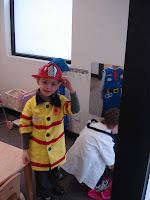 A pre-school classroom is a special place. 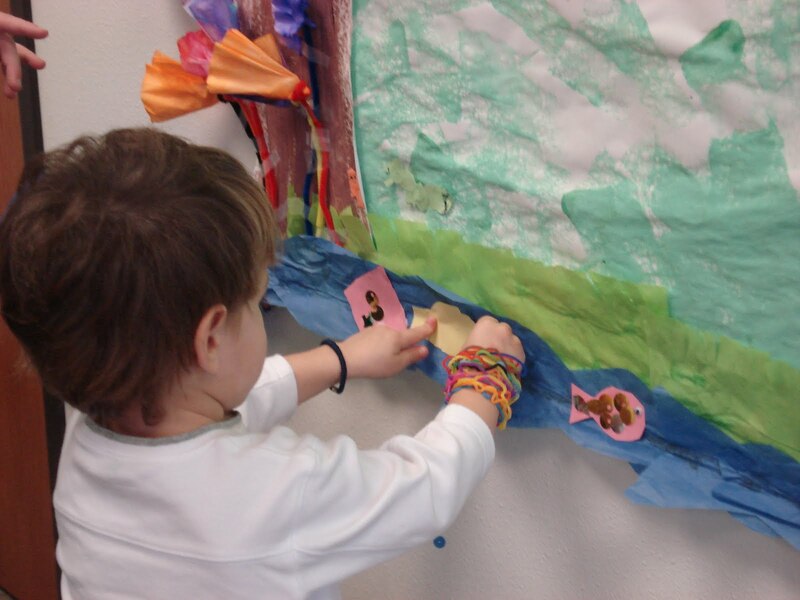 At The Gan, the environment is set up to embrace and nourish the child, helping the child develop life skills. Socialization is an important part of a child's development. Social relationships surround the child in all aspects of their lives. 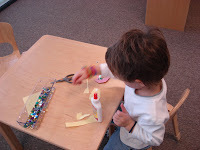 These relationships involve kind manners and politeness, as well as how the children interact with other people. 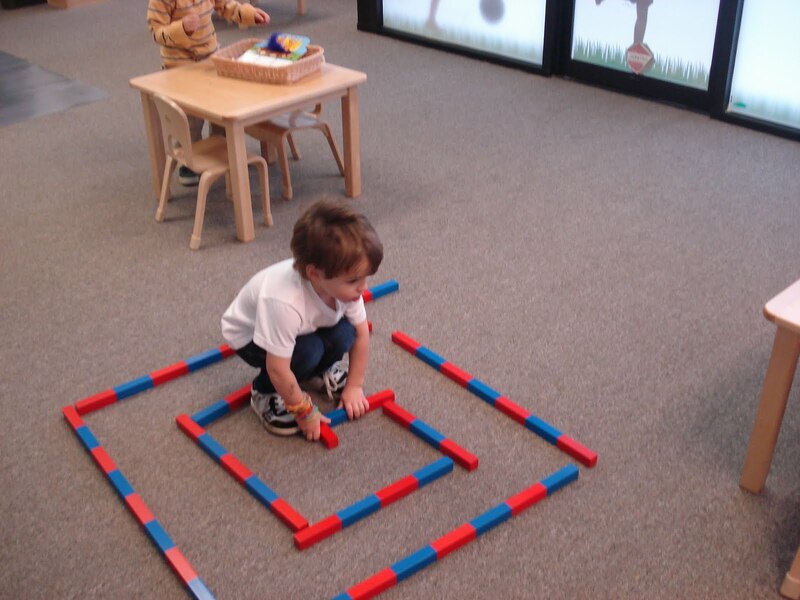 Play is a key opportunity to help the child create and sustain positive social interactions. The development of social play is age related, and as a child grows and is offered social experiences, a particular sequence of play can be observed. Associative play, during which the child will play with other children using the same materials and toys and talking with them, however still acting on his own. 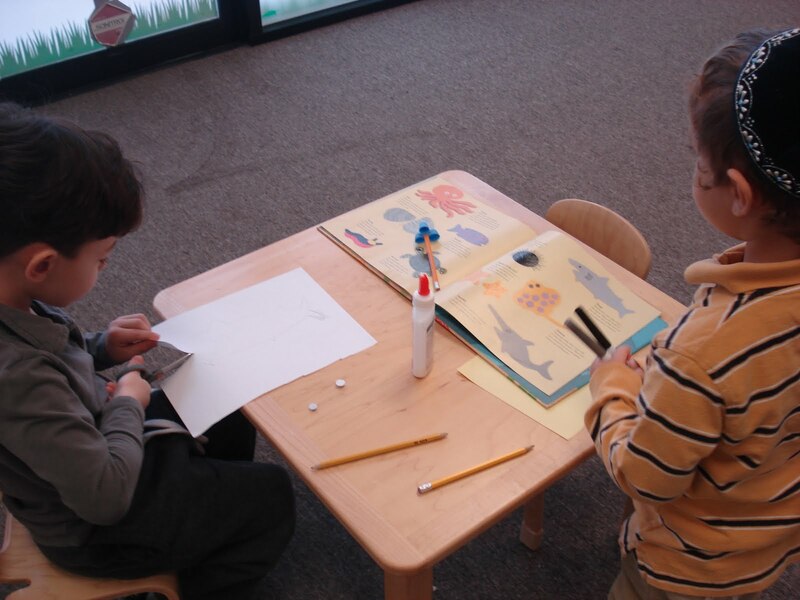 Encouraging cooperative play, sharing, and respect for our friends is an essential aspect of our classroom. This weeks Peace Makers circle focused on our purpose in the world. We talked about how we can and need to be creating peace for all people with kind deeds and words. We brainstormed ideas about mitzvahs to do in the classroom with friends, and at home with our family. Morah Na'ami: Why did Hashem put us on the world? Morah Na'ami: We need to live and do mitzvahs. Can you think of a mitzvah? Morah Na'ami: Mitzvahs help make the world a peaceful place.